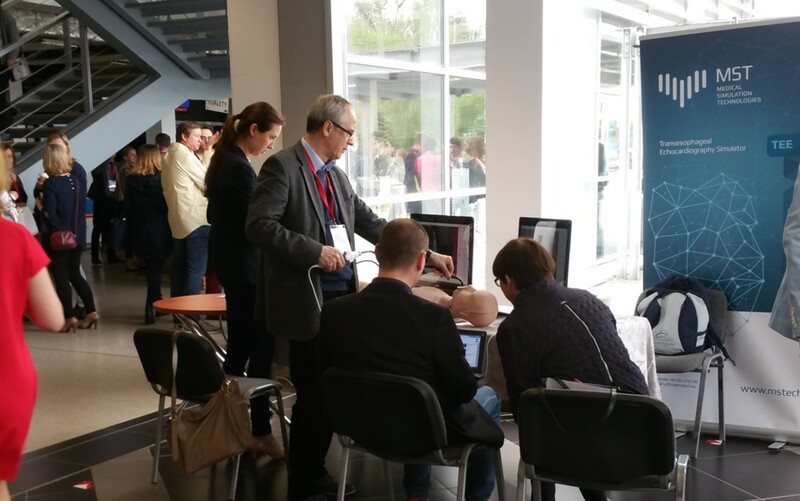 PolECHO – the largest ECHO conference in Poland gathering approx 1200 cardiologists. Mr. TEEmothy was busy all the time helping many of them to practice TEE. 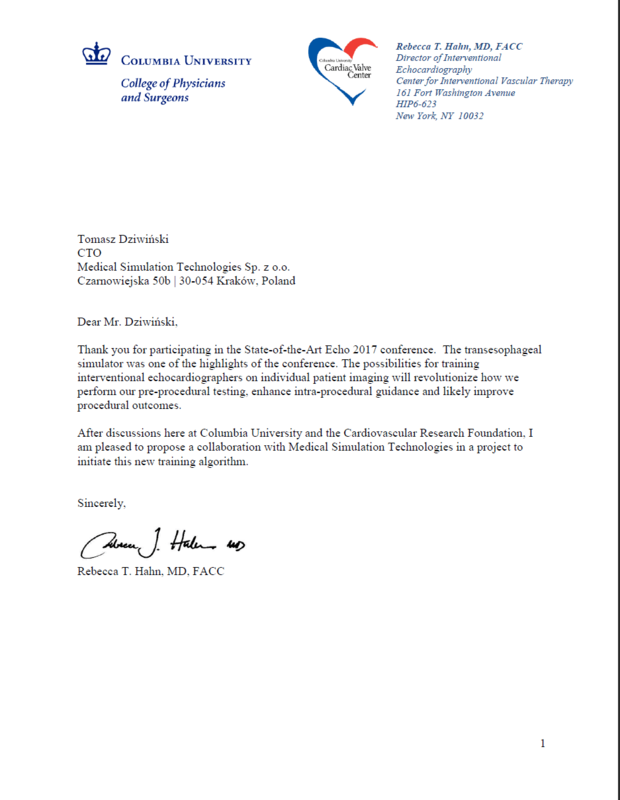 MST starts cooperation with Columbia University, represented by Rebecca T. Hahn, MD, FACC, Director of Interventional Echocardiography Center for Interventional Vascular Therapy. 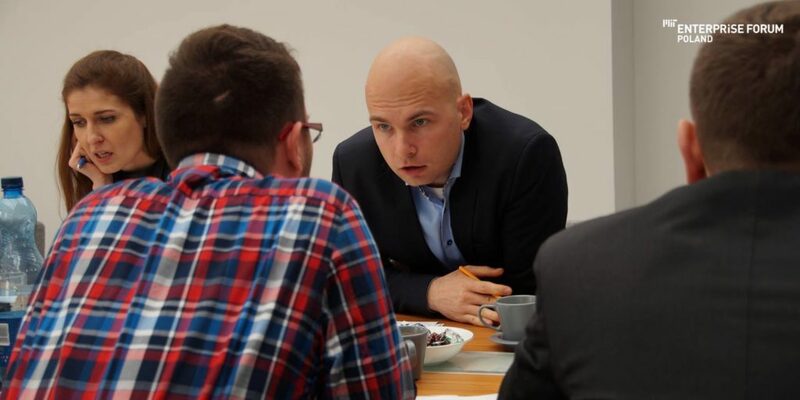 Kamil Kipiel gave an interview to Puls Biznesu. 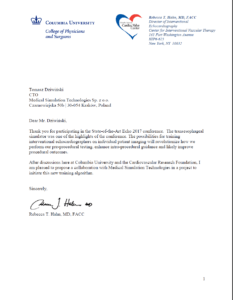 MST in the European semi-finals of the prestigious EIT Health Catapult competition! 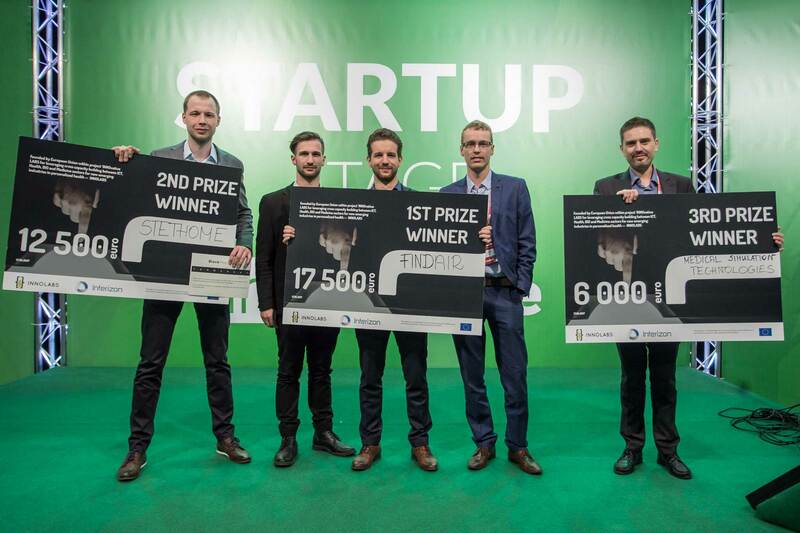 prestigious European Health Catapult competition in Brussels organized by EIT Health. There were 14 top European companies participating in the Digital Healthcare pathway. 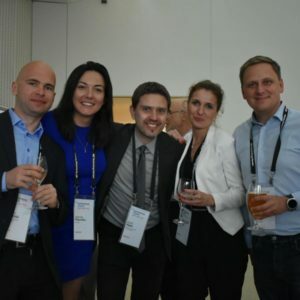 The schedule was filled with presentations, meetings, match making and exchange of experiences. the participation of investors from Europe. MST took second place in the international competition “European Health Catapult” in Brussels organized by EIT Health! We have overtaken dozens of companies competing in the Digital Health competition. EIT Health is one of the largest healthcare initiatives worldwide. 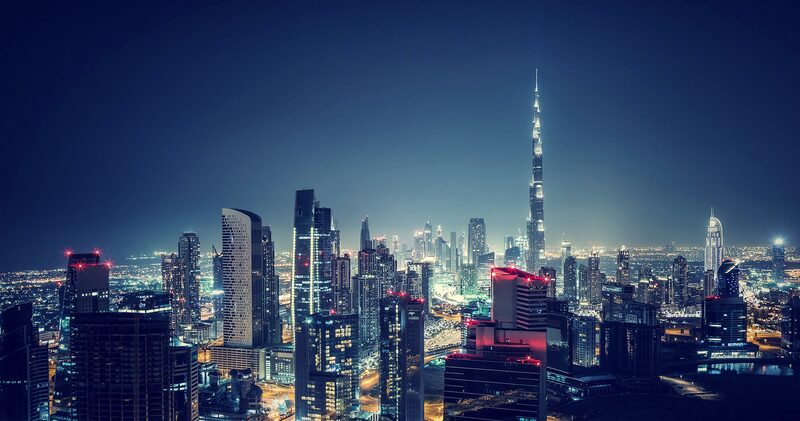 It provides the opportunity to pitch business model to market experts and investors, explore new markets as well as to increase sales by leveraging the outstanding innovation potential and market knowledge of its Europe-wide network. 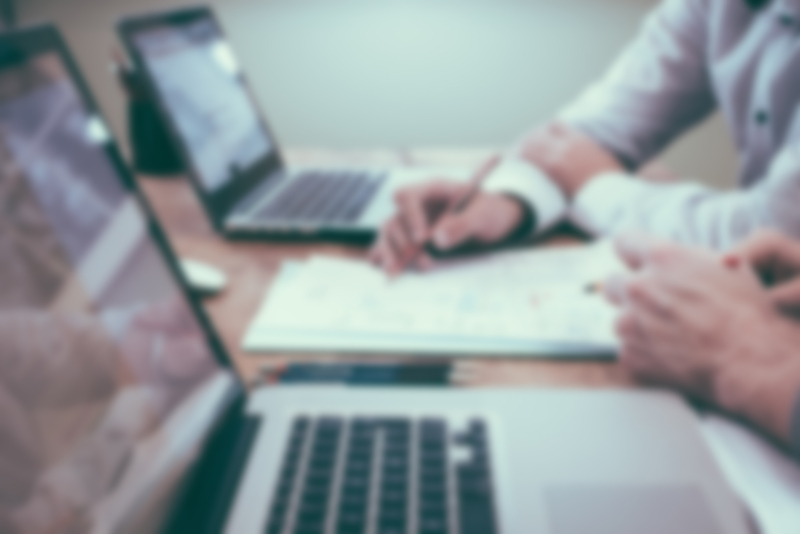 As part of its Accelerator activities, EIT Health is cooperating with Health Axis Europe (HAE), and have invited incorporated and trading micro and small enterprises to submit applications in Medtech, Biotech and Digital Health categories. 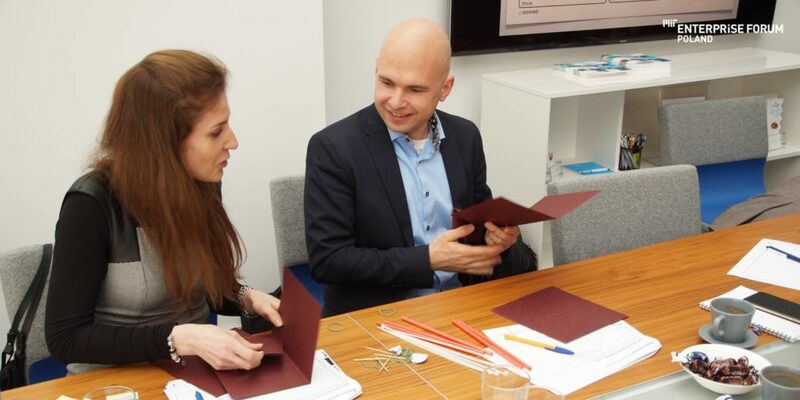 During the competition MST was represented by board member – Kamil Kipiel. 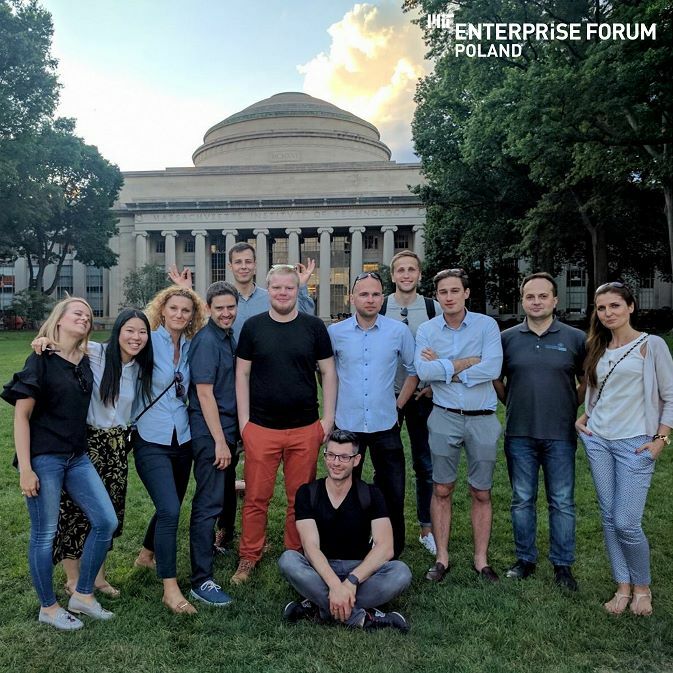 MST is among the winners of the second Polish edition of the Massachusetts Institute of Technology acceleration program under MIT Enterprise Forum Poland! 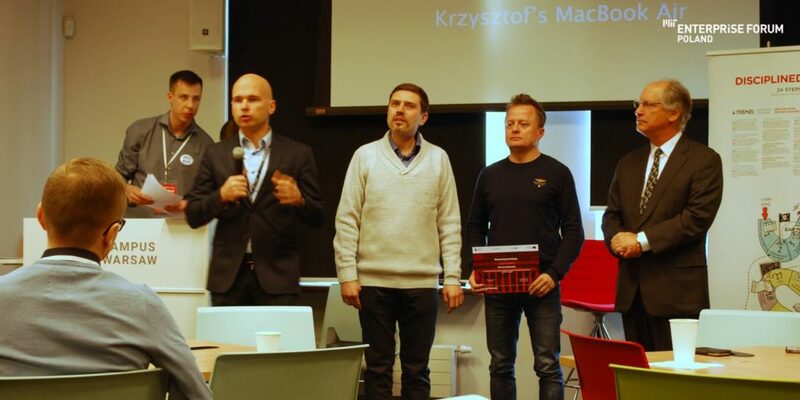 Competition was very strong, as nearly 300 technology startups from all over Poland came to the program, of which 23 participated in the MITEF Poland acceleration program. 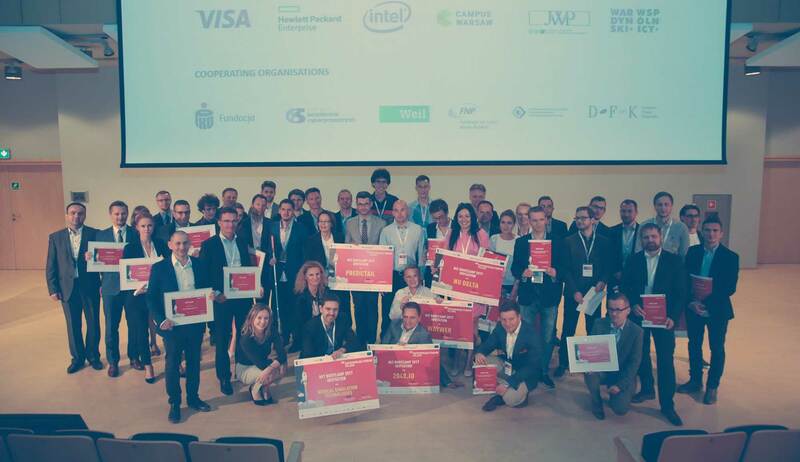 Announcing the winners took place at the “Connected Future: Internet of Things & Artificial Intelligence” conference, which took place on June 5th, 2017 at the Copernicus Science Center in Warsaw. The prize for the winners is the weekly Bootcamp at the Massachusetts Institute of Technology and financial gratification. The award was received by MST board members: Kamil Kipiel and Tomasz Dziwiński. 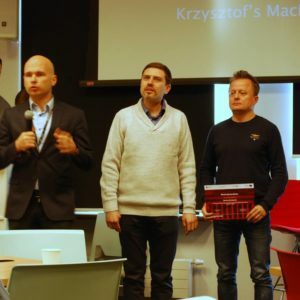 MST took third place in the international competition “The Digital Healthcare Hackathon” during InfoShare 2017 in Gdańsk! 10 projects came to the finals, of which the top three were selected. Every project was evaluated at each stage based on 4 criteria rated 0-5 points each: Business Model, Business Potential, Team, Innovation. 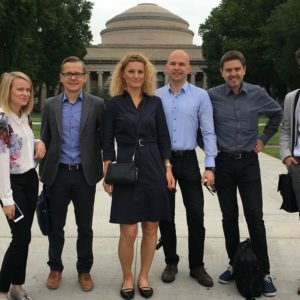 A mission of the Digital Healthcare Hackathon is serving to publicly demonstrate new technologies, to facilitate cooperation between SMEs and stakeholders in the ICT, Bio, Health and Medicine industries and, to provide the opportunity for SMEs to improve their products, services, or business models. 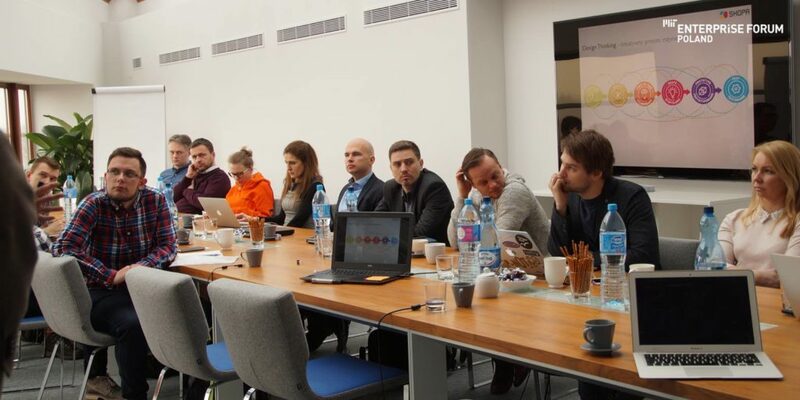 Digital Healthcare Hackathon is held as a part of the INNOLABS project which has received funding from the European Union’s Horizon 2020 research and innovation programme. In the competition MST was represented by board member Kamil Kipiel. Representative of the MST was present at one of the world’s biggest health care trade events in the world, which gathered this year more than 32,000 people. 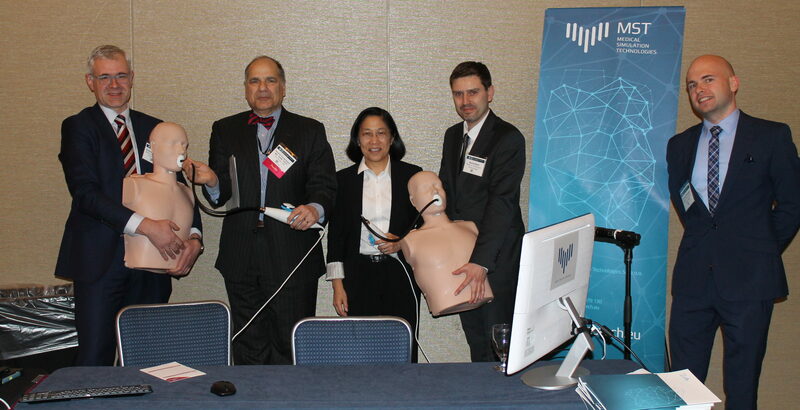 It was a great opportunity to meet global most innovative companies in the field of medical technology, which undoubtedly will be an inspiration for the further development of our company! The fair was also a chance to conduct meetings and establishing new relationships with representatives of companies, hospitals and medical universities, which we hope will result in closer cooperation and new projects. Participation in the Arab Health fair was possible within the cooperation between the MST and LifeScience Cluster Krakow in the frame of ProBio Malopolska project. 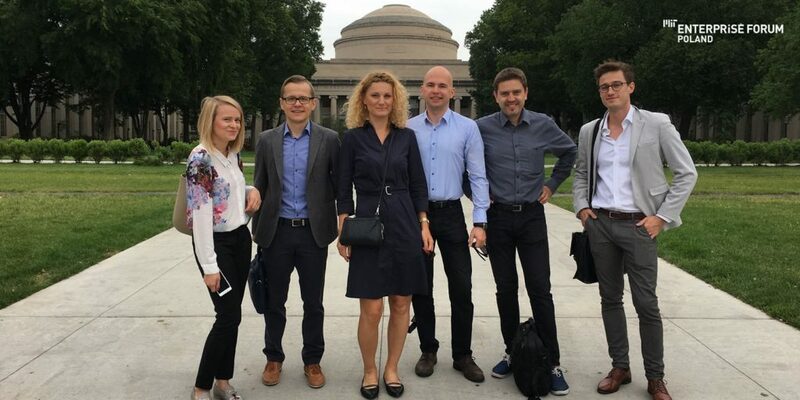 MST has been selected as one of 23 start-ups technology for acceleration in prestigious program based on the know-how of one of the world’s top technology universities – Massachusetts Institute of Technology. 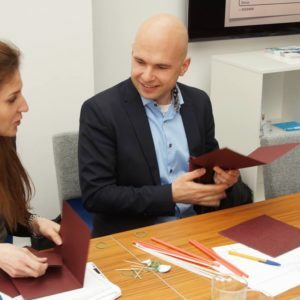 The aim of the program is to support innovative Polish micro and small companies developing unique technologies to accelerate the commercialization process of their solutions. The project reported 120 startups, including the financial, energy, medical and raw materials sector. Twenty-three of them, selected on the basis of elimination, go three-month process of acceleration and top five will go on a week’s Bootcamp to Massachusetts Institute of Technology in Boston. 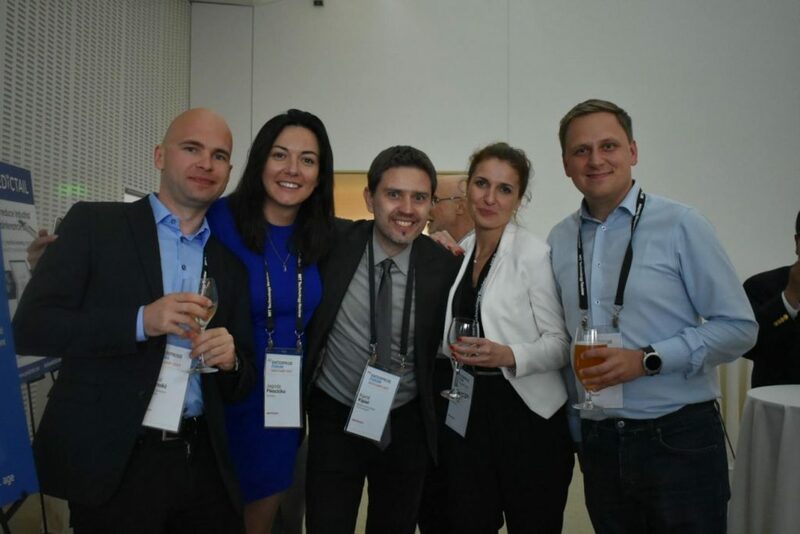 The added value of the program will be also support of the big companies, such as PKO Bank Polski, PGNiG Group, KGHM Group or Adamed Group (guardian of our path: “Health”).